South Carolina Ports Authority (SCPA) contracted ANAMAR to obtain necessary permits for the ocean disposal of suitable dredged material from the Wando Welch (WWT), Columbus Street (CST) Union Pier (UPT), and Hugh K. Leatherman, Sr. (HLT) Terminals. 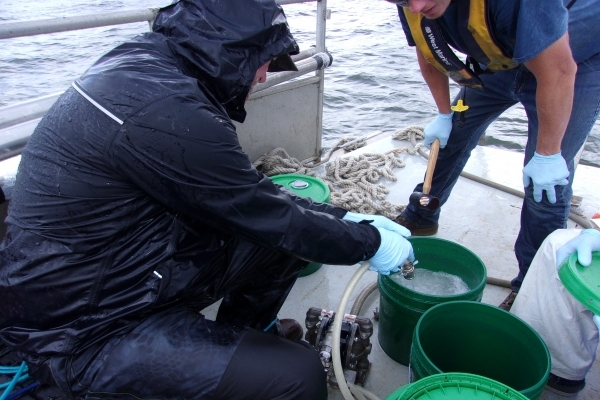 This work involved the preparation of necessary permit documentation for each terminal, sediment testing of dredged material proposed for the deepening and future maintenance dredging of the WWT berth area and the HLT berth and access areas, and sediment testing of maintenance material at the CST and UPT. Prior to this effort, these terminals only had permits approved for upland disposal of dredged material. An ocean disposal permit will provide SCPA with more dredged material placement options to improve dredging operations efficiency and cost-effectiveness, provide increased coordination with USACE federal navigation channel dredging projects, and will allow better management of long-term capacity at the upland disposal areas including Clouter Island, Daniel Island, and Drum Island. SCPA and ANAMAR coordinated with the USACE and EPA to evaluate the dredged material from the WWT, HLT, CST, and UPT berth areas for suitability for ocean disposal. Evaluation of dredged material for ocean disposal is required under Section 103 of the Marine Protection, Research, and Sanctuaries Act of 1972 (MPRSA) (Public Law 92-532). The proposed disposal must be evaluated using criteria published by the EPA in Title 40 of the Code of Federal Regulations, Parts 220-228 (40 CFR 220-228). 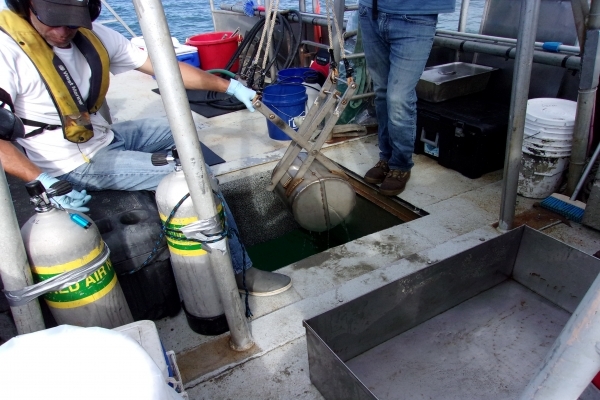 Specific testing methods are described in Evaluation of Dredged Material Proposed for Ocean Disposal Testing Manual (or Green Book), Evaluation of Dredged Material Proposed for Discharge in Waters of the U.S. – Testing Manual, Inland Testing Manual (or ITM). In support of the dredged material testing and evaluation, the ANAMAR team collected sediment samples and conducted physical/chemical, toxicological, and bioaccumulation evaluations following guidance and procedures as required in the Southeast Region Implementation Manual (SERIM). Deliverables for the project included a sampling analysis plan (SAP) / quality assurance plan (QAP), a MPRSA Section 103 Sediment Testing and Characterization Report, a MPRSA Section 103 Evaluation, and all documentation necessary for USACE and SC Department of Health and Environmental Control (SCDHEC) permitting to allow for the placement of dredged material at the Charleston Ocean Dredged Material Disposal Site (ODMDS). 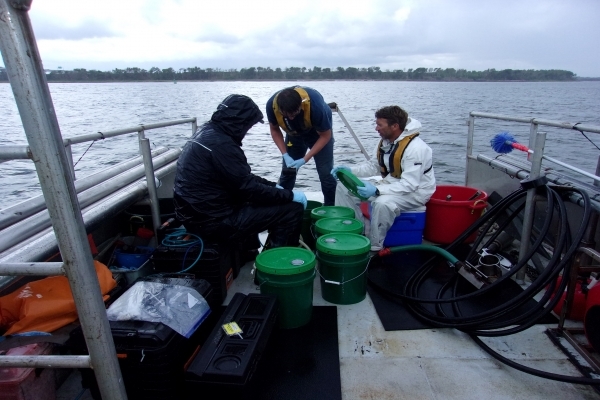 ANAMAR was responsible for coordinating field sampling logistics, subcontracting a vessel and crew properly equipped to assist with sampling operations, laboratory coordination, providing data quality review and data quality assurance, preparing report deliverables and permit packages. Due to the dredging schedule, this project was performed on a compressed schedule. ANAMAR and its team members were able to successfully meet schedule deadlines and milestones. In February 2019, EPA provided concurrence for ocean disposal of dredged material and USACE approved the dredging permits within the timeframe needed to meet the next dredging cycle schedule.